When you first start running your gardening business, you will probably be able to handle the workload perfectly well on your own. But as business grows and demand for your services increases, you may well need to start thinking about getting help, which is where using sub contractors can be a big benefit. Running a small business has its ups and downs and it’s often not very easy to predict in advance how busy, or quiet, you’ll be at any one period in time. It’s the unpredictability that can be most challenging, especially when you’re unsure of how much work you’ll need to juggle. At times like this, when you suddenly find yourself in demand and with numerous jobs on the go, having sub-contractors to call on can help significantly ease your workload and give you time and opportunity to concentrate on getting essential work done. Not everyone is immediately keen on the idea of employing sub-contractors though. One common concern is whether sub-contractors will do the work to the same standard and ability and help maintain your good company name. Whilst it is a very valid concern, if you research the possibilities and carefully select a sub contractor, it should have a good chance of working out well. Planning ahead might not always be easy, but ideally it’s useful if you take time to try and find people for sub-contracting work in advance of needing to call upon them. That way, you can have a list of people you can phone and offer work to if you suddenly need them. Asking around for recommendations is always worth a try, or you could track down gardeners through the Yellow Pages, business directories, through networking or online searches. It's good to look for self-employed or freelance gardeners, as often they're the kind of people who can easily take on additional work. It’s a good idea to have several people on your list, as inevitably some people won’t be free when you need them and, if you’re concerned about their ability to do the job, you can always offer a trial job so you can assess their abilities properly. There are of course some practical business issues you need to consider when you’re using sub contractors. Most importantly, you need to keep detailed records about who you’ve hired, how much work they’ve done and how much they’ve paid you. If you’re a small business, then employing sub contractors on a freelance, or self-employed basis, can be easier, as they will then be paying their own tax and you won’t have to worry about National Insurance or other concerns. If you’re unsure about someone’s employment status, then try and check it out in advance so you don’t run into unexpected surprises. When it comes to paying self-employed sub contractors, you’ll need to ensure that they give you an invoice for the work they’ve done, which you can then pay. Remember to file away the invoice in your records, as you would with any other invoices and bills. Even if you pay them in tax, you should keep a good record of who and what you’ve paid. 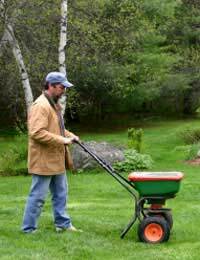 On the whole, the benefits of using sub contractors for your gardening business should outweigh the worries. In fact, when many small businesses hit on good sub contractors, their business relationship with them lasts for years and years and the support and help with keeping work flowing and completed can be invaluable.